From the Cumberland Gap to the Atlantic Ocean, this is Virginia Water Radio for the week of January 26, 2015.This week, we have the second of two special episodes on the physical states of water, written especially for Virginia science students in kindergarten to third grade. You’re about to hear a mystery water sound. Have a listen for about 10 seconds, and see if you can guess what this sound is. And here’s a hint: It’s not only rain that can end up as drops. If you guessed, ice melting from trees, you’re right! 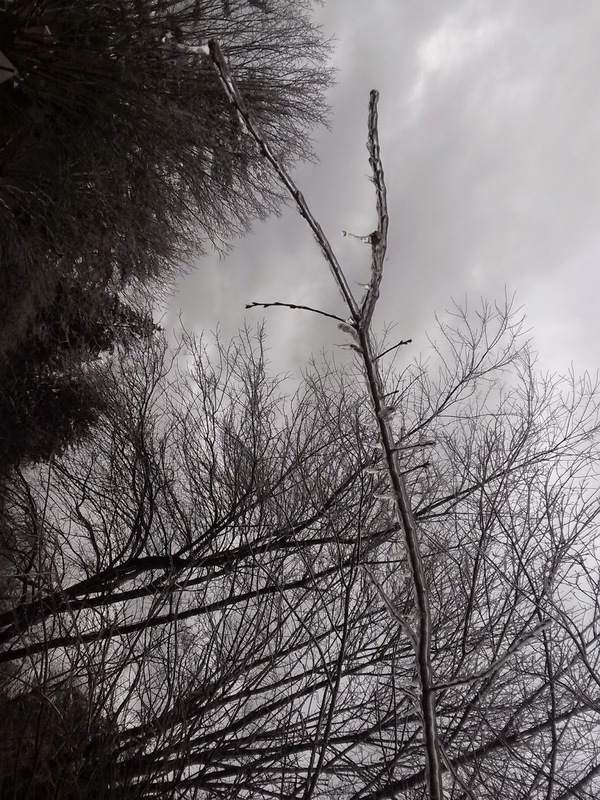 After a night of freezing rain in January 2015 in Blacksburg, Virginia, thin layers of ice coated many tree limbs. But energy from the next day’s sunshine soon warmed the ice, causing it to melt from a solid into falling liquid drops. A day or two later, those liquid drops were gone. Some of th3 drops sank into the ground or ran off into creeks. But with more heat from the sun, other drops evaporated, that is, they changed into an invisible gas called water vapor. You might think you can see water vapor when you look at clouds. But clouds are actually water in the sky that has cooled enough to condense, or turn back into visible liquid water. What’s a very common place where can you watch and hear liquid water being turned into a gas and back again? See if you know while you listen for about 10 seconds to this mystery sound. If you guessed boiling water on a stove, right again! A hot stove can add enough energy, fast enough, to liquid water to make it boil and give off bubbles of water vapor. The escaping water vapor makes the tea kettle whistle, but the steam you can see above a whistling tea kettle is no longer water as a gas. 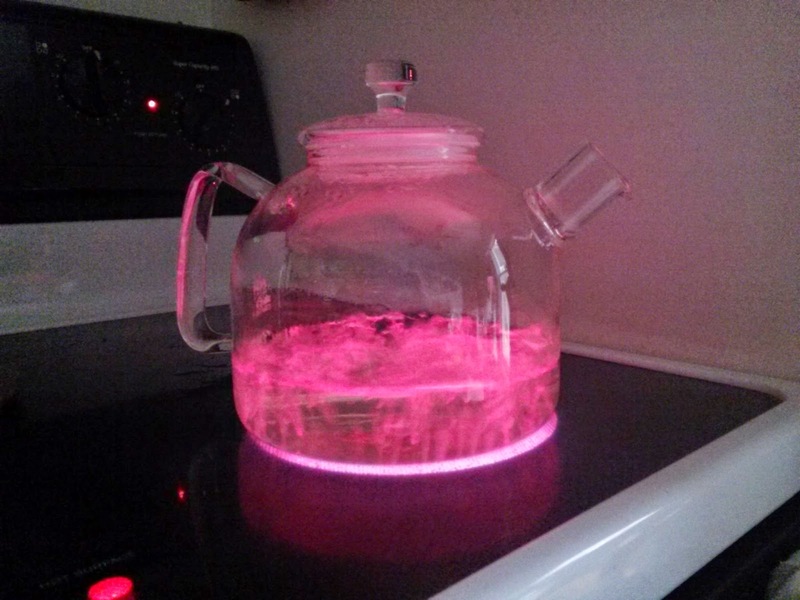 Instead, its water that cooled as soon as it left the kettle and changed back into a liquid. The normal temperature of boiling water is 212 degrees Fahrenheit, or 100 degrees Celsius. But sometimes water boils at a temperature higher or lower than that. For example, in Denver, Colorado, at about 5000 feet above sea level, water boils at only about 200 degrees Fahrenheit. How come? That’s a question for YOU to answer. And here’s a hint: this sound [SOUND - AIR BEING RELEASED FROM A BIKE TIRE] means somebody’s bicycle tire is losing air pressure. Good luck! 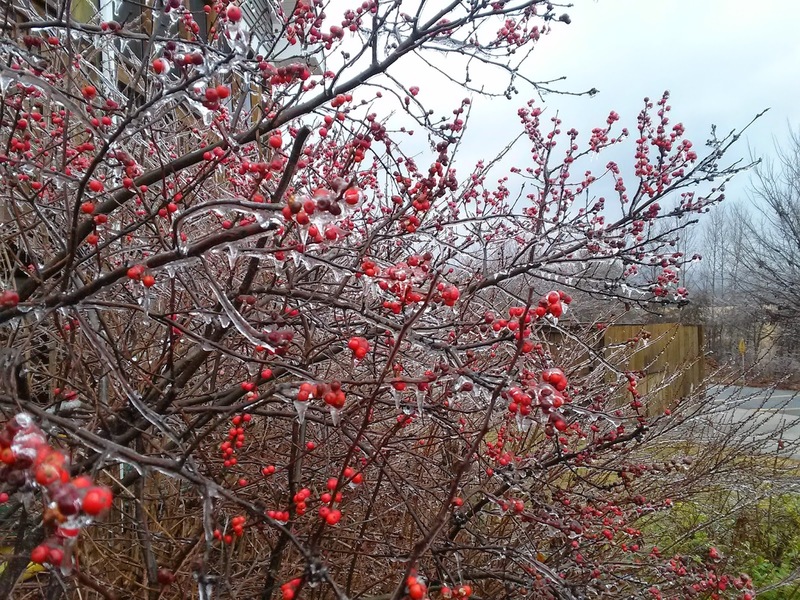 Ice-covered shrub in Blacksburg, Va., January 24, 2015. 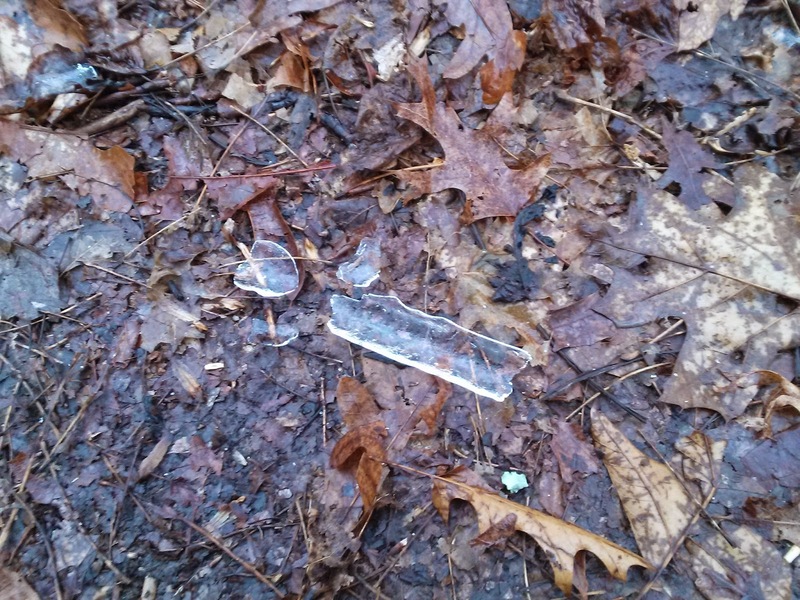 Ice pieces fallen from tree limbs in Blacksburg, Va., January 24, 2015. Water at full boil on a stove in Blacksburg, Va., January 25, 2015. Virginia Standards of Learning, Virginia Department of Education, online at http://www.doe.virginia.gov/testing/. “Kindergarten Science Vocabulary,” VocabularySpellingCity.com, online at http://www.spellingcity.com/kindergarten-science-vocabulary.html. “First Grade Science Vocabulary,” VocabularySpellingCity.com, online at http://www.spellingcity.com/first-grade-science-vocabulary.html. “Second Grade Science Vocabulary,” VocabularySpellingCity.com, online at http://www.spellingcity.com/second-grade-science-vocabulary.html. “Third Grade Science Vocabulary,” VocabularySpellingCity.com, online at http://www.spellingcity.com/third-grade-science-vocabulary.html. “Water Properties and Measurements,” U.S. Geological Survey (USGS) Water Science School, online at http://water.usgs.gov/edu/waterproperties.html. “Atmospheric Pressure,” Encyclopedia Britannica, online at http://www.britannica.com/EBchecked/topic/41486/atmospheric-pressure. “Boiling Point,” Encyclopedia Britannica, online at http://www.britannica.com/EBchecked/topic/71799/boiling-point.